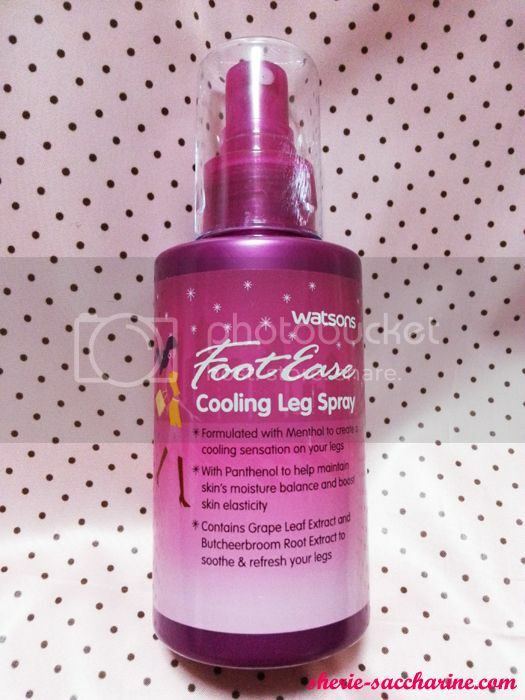 Watsons Member 1 Day Sale! This is my first ever Watsons Member event! I was clearing my leave on 27 Dec, and am so glad that I chanced upon the Watsons's Facebook post! 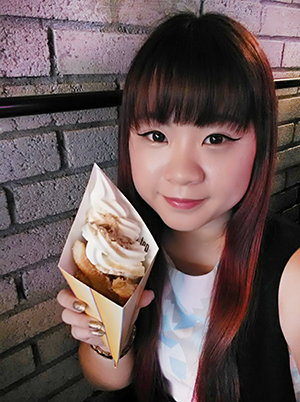 So after I had lunch and geared up, I sped off to Watsons at Causeway Point! There wasn't a queue as I strategically reached there around 2+pm. But I guess that also means that goodies are already half gone! But check out what I've got with $106.15! 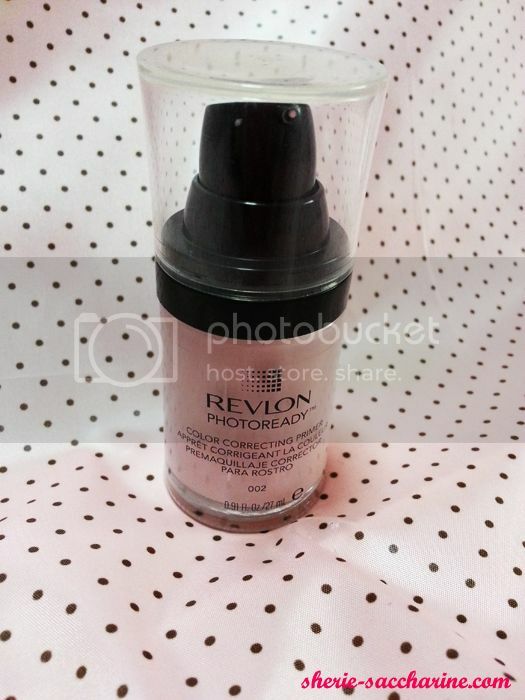 PS: I missed out my Relvon Face Primer here as I've already started using it. I try to convince myself that all these are necessities and I DID NOT splurge. 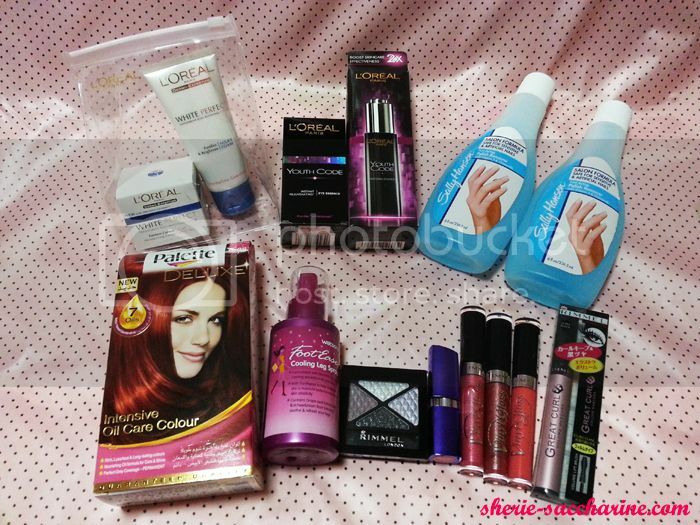 I've cover from head to toe in this haul! Haha. 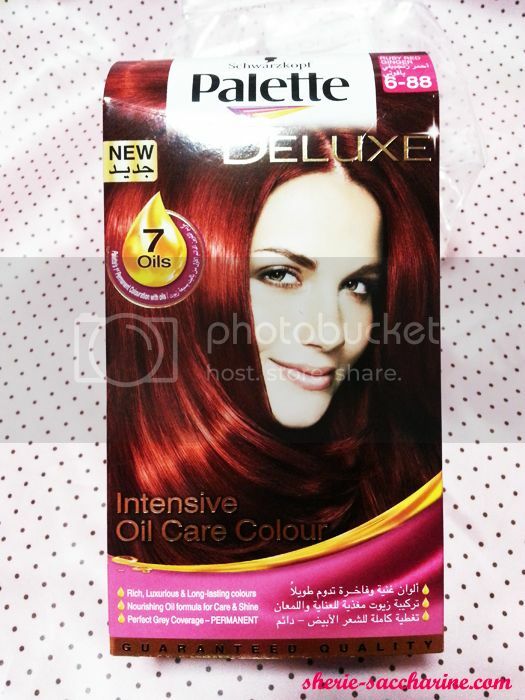 First up, my secret to my everlasting Red hair! Palette Deluxe in Ruby Red Ginger 6-88! I don't really keep track what colour I use, cos I'll always grab the reddest colour I can find on the shelf. 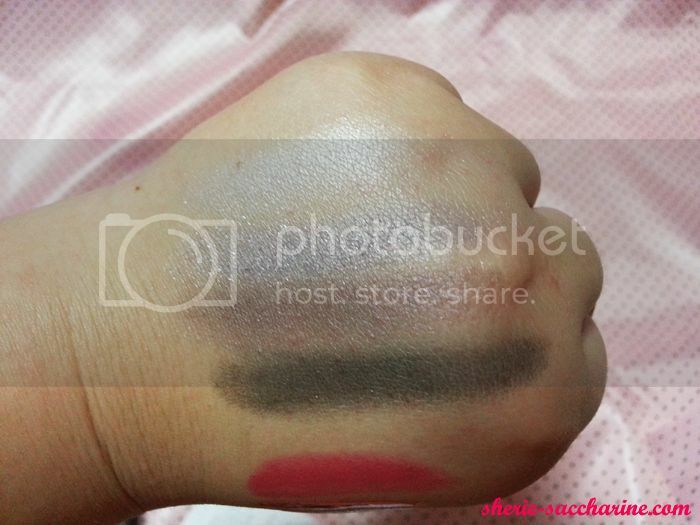 This is my no.1 beauty product that I can't live without! I have tried many red hair dyes, and this is the only one that's lasting and its cashmere hair conditioner leaves my hair smoother than before! I once tried dying brown over the red and the red wouldn't go! That's how well it last! Best of all, it's the cheapest hair dye around. Used to be $11, after discount, a whopping $8.80 only! 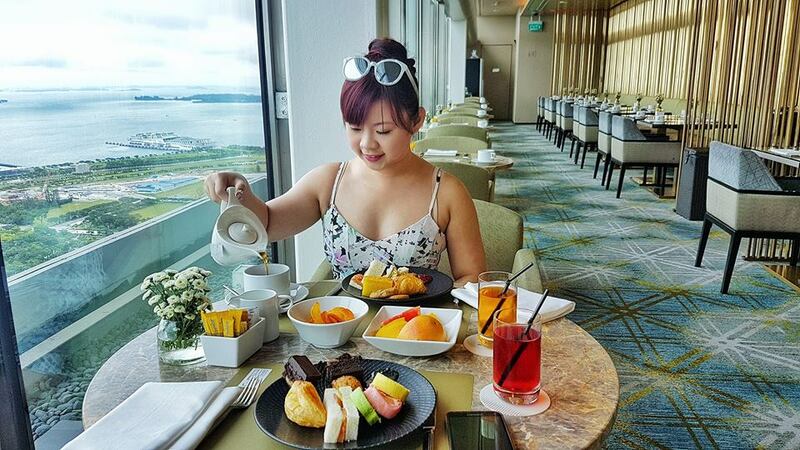 This is what the bloggers have been raving about! And I got them at a discount! 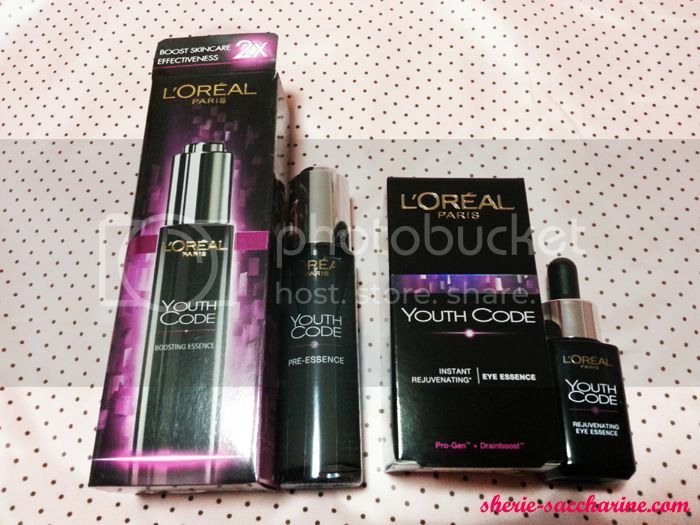 Youth Code Pre-Essence at $29.90 and Eye Essence at $26.90! Gonna see whether they live up to what they promised! Finally got my face primer at 25% discount! Before discount, it was $28.90 and it's like too expensive for something that I don't know whether it work or not. 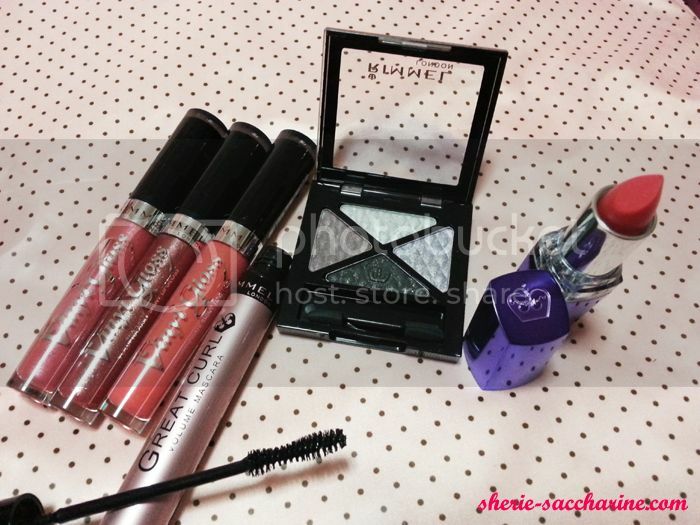 But well, $21 is a good investment for longer lasting make-up! There was this $9.90 ZA and Rimmel bundle offer in the magazine I'm dying to get! But obviously ZA (worth $35 only) only left with 1 pathetic package and I can't find the Rimmel bundle which is worth $107.70! But, my persistent paid off when I found it at an invisible offer rack at the back of the store! See! 5 awesome products for just $9.90! The other package only had 2 lip glosses, but I was lucky to find this bundle with 3 glosses and eyeshadow palette that suits me! The others were blue and black palettes (ewww). 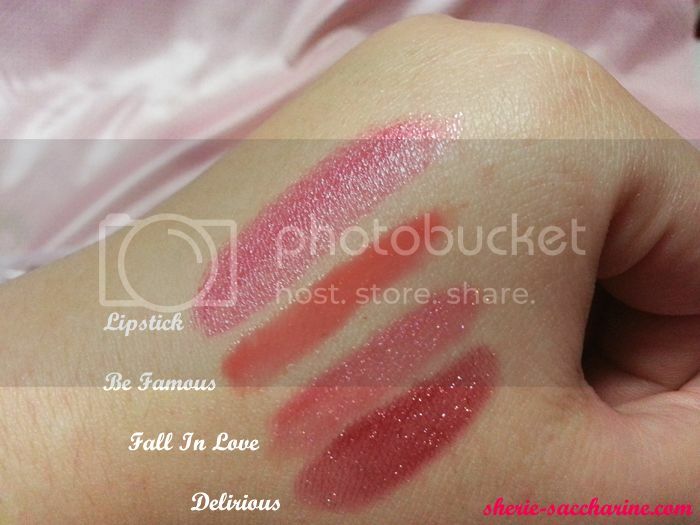 The prettier shades of the lipstick and lip glosses! I have a secret to confess. Mum and I have this constant tendacy of losing our Nail Polish Remover everytime! Whenever we need to use it, we have to buy a new one! And on that afternoon when I was trying to remove a failed manicure, no remover was in sight. 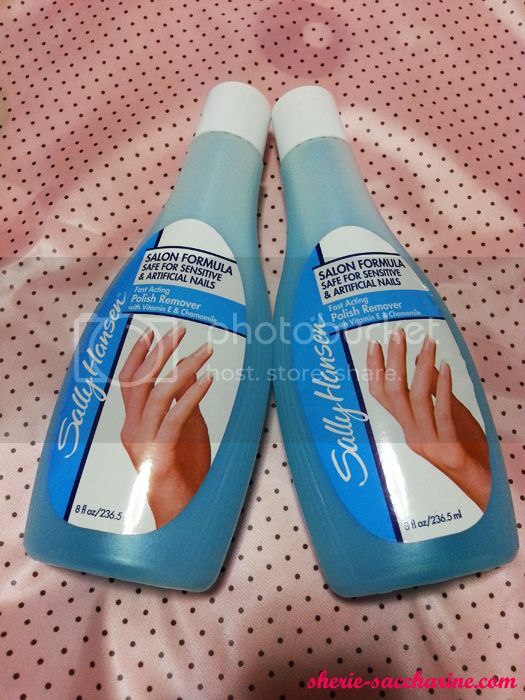 Thus, Sally Hansen polish remover offer came at the right time! It was supposed to be 2 for $8.80 (26% off) in the magazine, but I was give only a 25%. It's just $0.20 so take it as charity! Well, I hope I have convinced you (and my bf) that I did not splurge on unnecessary products. 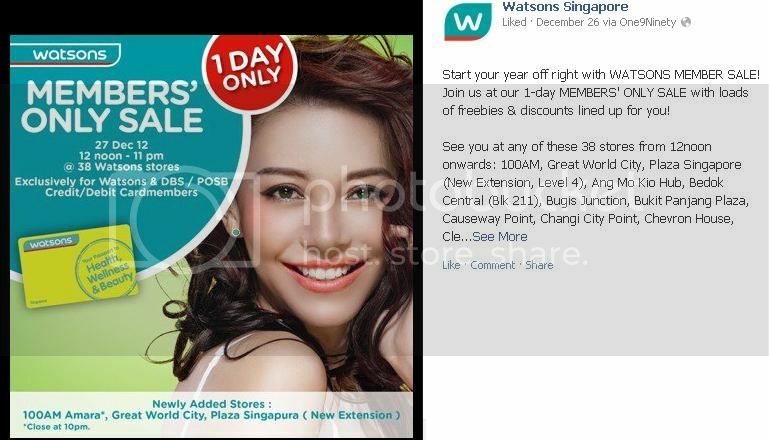 See you at the next Watsons member sale! LIKE my page for daily updates!